Once again you, our amazing members, have helped us win at the Pilot’s Best of Hampton Roads Readers’ Choice Awards. 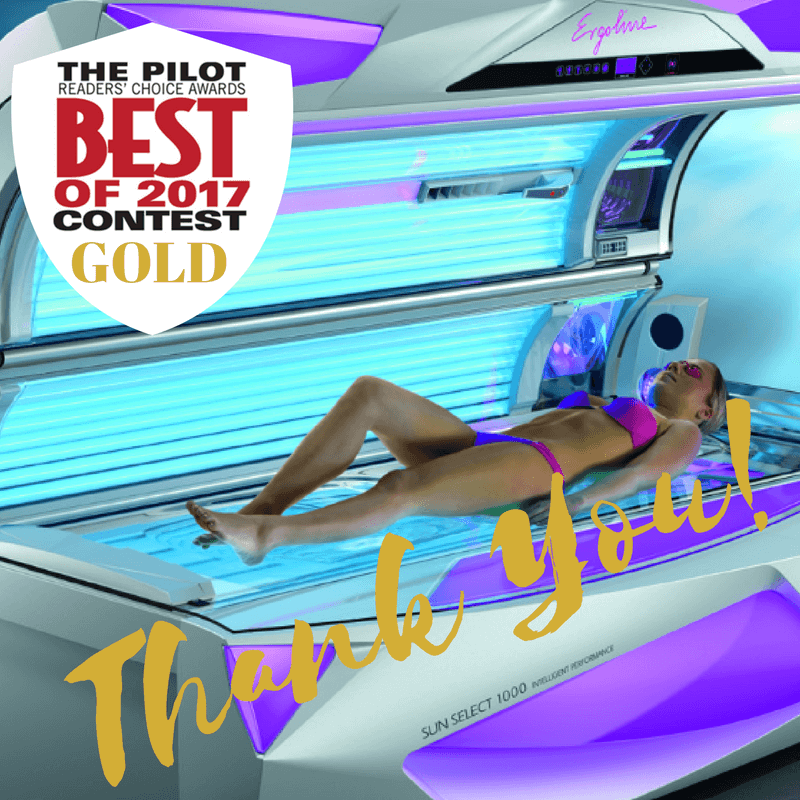 This year we took Gold for Best Tanning Salon in four city categories: Virginia Beach, Chesapeake, Norfolk, and Suffolk-Franklin-Isle of Wight. We couldn’t be happier for the staff at these and all our Sundays Sun Spa Shop locations, and of course everybody who has come in to check us out over the last few weeks. If you visited for the first time during our Nickel Days promotion or to meet Lil’ Bit, we hope you’ll come back and see what else Sundays has in store for you. This is the 25th consecutive win for us (but who’s counting? ;-D), and it’s because of our members and staff and the community that we continue to offer our best. Who would have thought so many years ago that a simple tanning salon in Virginia Beach would grow into a chain spanning all of Hampton Roads, and provide top of the line massage and wellness services, too? We don’t mean to humblebrag, either, but if you’ve seen our Best Of Hampton Roads banners and haven’t yet come into a salon, why not give us a try? With twenty locations there’s one close by, and you can experience for yourself what has people voting for us year and year. Thank you again, and here’s hoping for another twenty-five years of success.